An exceedingly high death toll of refugees and migrants attempting to cross the Mediterranean sea into Italy during the first five months of 2016 indicates the gravity of Europe’s current migrant crisis. For those who do survive the life-threatening journey, opportunities to establish themselves and progress in Italy are few and far between. The need for immediate governmental action is essential. Credit: Ilaria Vechi/IPS. ROME, Jun 29 2016 (IPS) - Thus far, 2016 has proved fatal for the thousands of migrants crossing the Mediterranean in a bid to find safety in Italy. Alarmingly, between January and March, a spiralling death toll was recorded among refugees and migrants attempting to reach Italy by boat from North Africa. According to William Spindler of the United Nations Refugee Agency (UNHCR) “Some 2’510 lives have been lost so far, compared to 1’855 in the same period in 2015 and 57 in the first five months of 2014.” Ironically, many migrants would regard risking their lives on the exceptionally treacherous sea route as the easiest part of their journey to Italy. Upon arrival, they are, in most cases made subject to unemployment, homelessness, legal disenfranchisement, arrest, and detention in Centers for Identification and Expulsion (CIE). In many ways, life appears bleak and opportunities limited for the thousands of displaced people willing to stop at nothing in their search for a peaceful home that will grant them the fundamental human right to safety and security. Fortunately, after years of dispute over the rights of refugees and migrants in Italy, the Italian Ministry of the Interior (Ministero Dell’Interno) has drawn attention to the importance of providing migrants with sustainable, productive livelihoods by agreeing to an employment initiative for refugees in conjunction with the General Confederation of Italian Industry otherwise known as Confindustria. The agreed employment initiative for refugees and migrants is particularly critical at this juncture due to the increasing number of migrants determined to seek refuge on Italy’s shores. In late May, The Daily Mail of the U.K reported an arrival of over 1’000 illegal immigrants only permitted access into Italy after threatening to throw the babies aboard their ship into the ocean if they were forcibly turned back. In the same month, at least 880 people were reported to have drowned in shipwrecks and boat capsizing in the Mediterranean. In this sense, desperate times really do call for desperate measures. The catastrophic incidents which threatened and took the lives of countless highlights the need for innovative measures and the failure of current migrant regulation in Italy. On a national level, there have also been significant setbacks presented to refugees and migrants from the Bossi-Fini law first implemented in 2002. This law restricts the aiding and abetting of illegal immigrants. This is why in late May, migrants were willing to threaten the sacrifice of their own children rather than turn their ship back, the Bossi-Fini law requires authorities to dismiss and silence their pleas for protection and refuge. The law also states that any immigrants found in international waters, formerly outside the patrolling power of Italy, can be sent back to their country or neighboring countries. It has been received with widespread criticism from international humanitarian organizations. In fact, forced deportation in international waters not only contravenes Article 13 of the Universal Declaration of Human Rights of 1948 “Every man is free to leave his land”, it also defies the Geneva Convention of 1951 as the majority of refugees are sent back and offered no protection. Undoubtedly, the situation has proved itself exceedingly difficult for displaced people in Italy over the past number of years. When scrutinized, the Italian Government has responded by stating its immigrant and refugee policies are combating terrorism. On the other side of the specter, human rights activists view this logic as nothing more than the creation of inhumane and undignified circumstances for refugees and migrants. Luciano Scagliotti, Italian Coordinator for the European Network Against Racism (ENAR) has explained the consequences of the government’s “fight against terrorism” and how it has led to more and more refugees and migrants turning to the black market and facing exploitation. This includes working for mafia organizations to harvest produce in Turin’s countryside or in Italy’s southern provinces for two to four Euros a day. In light of the increasing number of refugees arriving on a daily basis, recognizing the fundamental role Italy plays in Europe’s current migrant crisis is vital. On the 23rd of June, a significant development was achieved when the president of the General Confederation of Italian Industry, Vincenzo Boccia, and the Minister of the Interior, Angelino Alfano signed an agreement on inclusion in work for refugees. The initiative aims to provide refugees and migrants with state-funded professional training, internships and employment by enterprises nationwide. It will initially be implemented for a three year period and renewed if successful. Minister Alfano concluded the signing of the agreement by stating that “We were immigrants and we welcome immigrants, on the integration wager we must have vision and courage”. 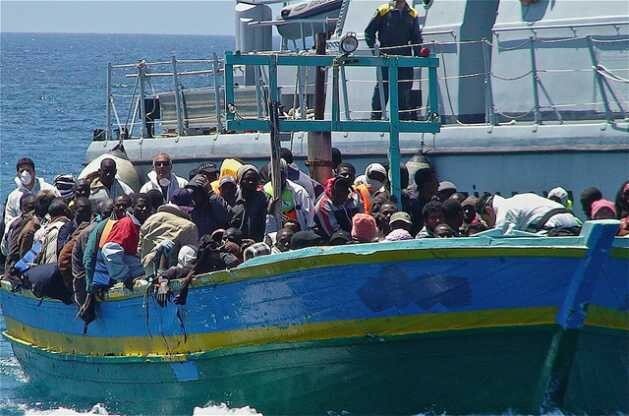 The initiative led by the Italian government agency emphasizes the fact that the refugee crisis is not a one-time emergency, as seas of migrants flood into Europe, the Ministry of the Interior acknowledges that this is a long-term issue that needs to be dealt with through sustainable solutions. the government of Italy has gone insane, treating illegal immigrants better than they treat their own people. I suppose Italy has 100% employment, if so they are the only nation that has.